Kirsten has an exceptional talent for helping owners recognize the revenue potential of their parking assets. She has over 25 years of experience operating and maximizing the revenues of parking assets. Prior to starting One Parking over 10 years ago, she was responsible for the profitability and operations of over 200 locations on the West Coast. Kirsten now oversees the operational and financial aspects of the One Parking portfolio at the corporate level. 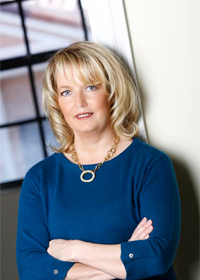 As President and COO, she drives results of both the financial and service aspects of our client's parking assets. She oversees all of the marketing associated with our locations as well as the implementation of controls, utilizing her unique educational background of Marketing and Accounting. Kirsten earned a B.S. in Marketing from Arizona State University. She is a member of the Urban Land Institute, The Commonwealth Institute and a Board Member for Women In Parking.